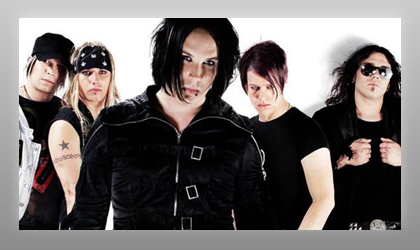 Helsinki, Finland-based rock outfit Bloodpit signed a recording deal with 456 Enterprises located in New York City. 456 Enterprises is an independent American company whose shareholders include Bam Margera of MTV fame and the talk show host Carson Daly (the label is overseen by Jonathan Rifkind). The deal covered the release of the band's debut album Mental Circus in both North and South America. Bloodpit performed at an A&R Worldwide showcase and had been a regular feature on A&R Worldwide since the four-piece was spotted at the Musikki & Media conference in Tampere, Finland by A&R Worldwide. A&R Worldwide started working with the band's manager Paavo Backman and helped introduce the band to a number of opportunities including a synch on high-profile Electronic Arts game, video support on the national U.S. satellite music network IMF, radio tastemaker support and U.S. and international media coverage. The band's manager Paavo Backman stated, "Bloodpit's A&R Worldwide showcase at The Roxy on Sunset Boulevard convinced the American and international music professionals about the band's potential worldwide." Bloodpit's video for the single, "Platitude," was voted the best video by Noise Finland. Bloodpit received video support from MTV Nordic and MTV Europe and the thirst for Bloodpit has grown with deals for the band in Russia, Italy, New Zealand, Australia, Norway, Finland, Sweden and the Ukraine.